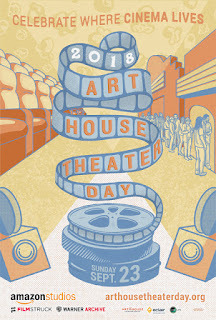 September 23 brings the 3rd annual Art House Theater Day, and when I first learned of it, I smiled. Memories of long-ago days and nights spent in the art houses of San Francisco and Berkeley came to mind. It was in these funky little theaters nestled in the Bay Area’s nooks and crannies that I was introduced to the films of Powell & Pressburger, Fellini, Chabrol, Lina Wertmuller and other filmmakers from outside the U.S. It was in these ragtag movie houses that I watched “revival” screenings of films like Mike Nichols’ Who’s Afraid of Virginia Woolfe? and John Cassavetes’ Husbands for the first time. Back in the day, art houses that presented foreign, indie and classic American films flourished around the US, in all major cities and university towns. Not long ago, Eddie Muller, of the Film Noir Foundation and Turner Classic Movies, posted an image on Facebook of a section from the San Francisco Chronicle’s movie pages, circa 1975. The first-run theaters were showing Shampoo, Funny Lady, Young Frankenstein and The Towering Inferno. At the Powell, however, was a double bill of “Two Maggie Smith Classics” (Travels With My Aunt and The Prime of Miss Jean Brodie). At the Surf was a “Janus Festival” showcasing “Truffaut & Malle” (Jules and Jim and The Lovers). Over at the Lumiere, Ken Russell’s Mahler was screening. I’m fortunate that art houses still exist where I live, though in a modified-for-the-times format. The Rafael (Christopher B. Smith/Rafael Film Center) is closest. Owned and operated by the California Film Institute, a non-profit that also produces the annual Mill Valley Film Festival, the Rafael began as the Orpheus Theater in 1918. A first-run movie house, the Orpheus was later destroyed by fire and rebuilt, reopening as the Rafael in 1938. It was the Loma Prieta earthquake of 1989 that so severely damaged the theater that it was shut down. Over the next several years the Rafael was gutted and entirely renovated. It reopened in 1999, now a three-screen art/indie/revival house. Among current films on the Rafael’s regular schedule are The Bookshop (Emily Mortimer, Bill Nighy) The Wife (Glenn Close, Jonathan Pryce) and Love, Gilda (a documentary about Gilda Radner). Also on the program, Laurel & Hardy shorts on Art House Theater Day, Bad Reputation (a documentary on Joan Jett) later in the week, and on October 17, Rita Hayworth's birthday, Gilda (1946), the film that made her an icon. 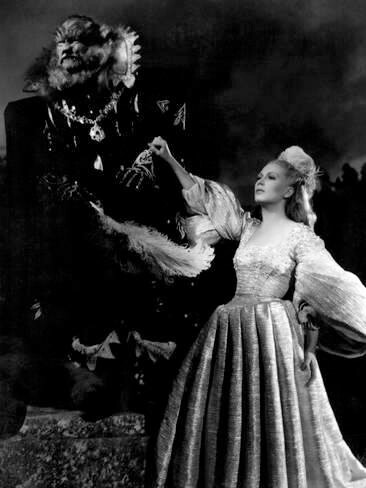 Like most area art houses, the Rafael also occasionally screens filmed rock concerts, Shakespearean plays and Broadway musicals. According to the Arthouse Convergence, “Art House Theater Day celebrates the legacy of independent theaters as advocates for cinema arts. In an age where media has become more digital than tangible, more solitary than social, art house theaters remain the physical spaces where film lovers congregate and connect with intrepid, creative filmmaking. 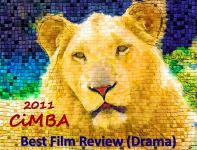 They are the beating heart for new and exciting cinema that is shaping the future of the medium. 150 theaters in the US will be celebrating Art House Theater Day. In my area, the Rafael will be participating, along with San Francisco’s Roxie and Alamo Drafthouse. Click here and scroll down for an alphabetical listing of theaters taking part. I’ll be at the Rafael at 2pm on Sunday, ready to enjoy Saving Brinton and Stan & Ollie. 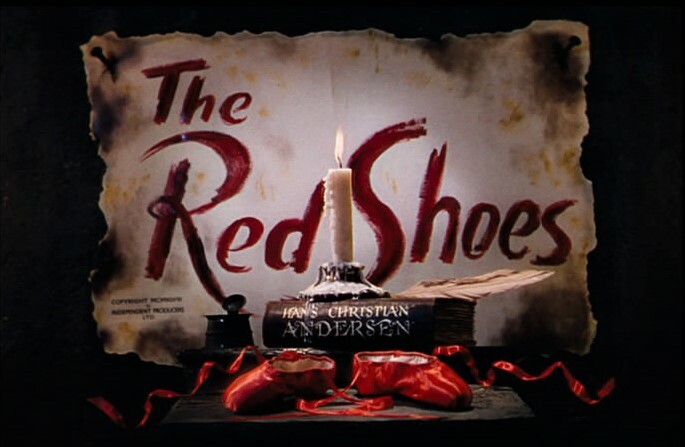 Later on, I plan to celebrate at home with two beloved films I first met at the art house, Powell & Pressburger’s The Red Shoes and Jean Cocteau’s Beauty and the Beast. Nice write-up, Eve. It's good that we acknowledge that film at its most adventurous is a powerful art form, not just blockbuster mass entertainment or formula, virtue signaling Oscar bait. 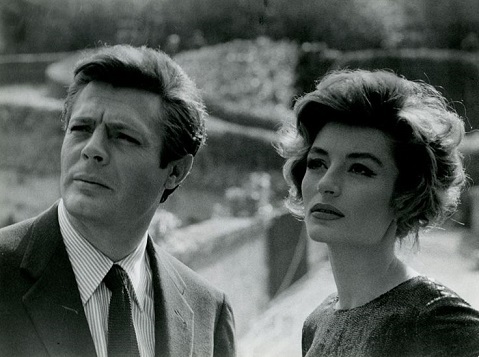 Not sure art is that highly valued anymore - not as it once was when directors like Fellini or Bergman represented a whole individual worldview and they were respected beyond the financial return they could give on investment. It doesn't mean there aren't some extremely creative filmmakers happening right now, who are stretching the boundaries - there are, it's just more of an underground thing. Whenever we can we should support our visionaries, whether they belong to the past or the present. In looking over the list of participating venues for Art House Theater Day I was happy to see that theaters all over the US are involved, and not just those in major metropolises. This is encouraging. Of course, there are many ways to access visionary work, old or new, these days, which is just as encouraging. Great post! I remember my art house days in NYC at theaters like the Thalia, The New Yorker and many others. Would love to have spent some time @ NYC's art houses back in the day, John. This is terrific! Our small town has an independent theatre of sorts, and we do have access to a lot of interesting films, including a lot of documentaries. I like what you said about the digital age and how our film-watching habits have changed. But, like you pointed out, we still like a communal film experience. It's the communal experience, the hushed, darkened room and the massive screen image, these things and more that make the movie theater experience so special. We're fortunate all of this still exists.